It’s almost the end of the year and Danish Saxo bank has repeated it’s very successful ‘outrageous’ forecasts for what’s in store for the world of economics. Like a full-fledged Nostradamus that bank has told clients what it expects to happen in 2019. The world will have to awaken and implement drastic reforms. Not because it wants to, but because it has to. As every year, the annual exercise of Saxo Bank has a large Black Swan level. 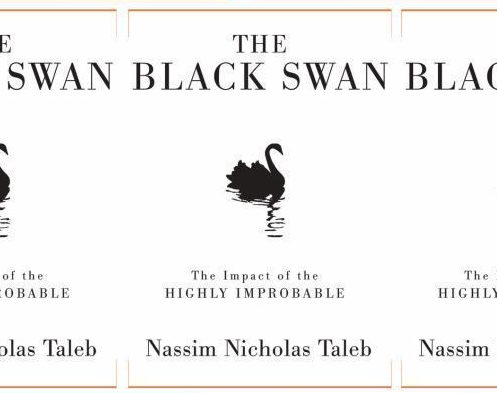 Inspired by the book of the same name by Nassim Nicholas Taleb, black swans are unpredictable, have huge impact and are explained only afterwards. For those who have doubts about the 'predictability of the unpredictable,' do know this, the economists of Saxo were able to forecast 4 correct ones last year, namely that the S&P would go down, that bitcoin would crash, that South African leader Jacob Zuma would leave and that the Democrats would retake the House. In search of new markets and with a large cash position of 237 billion dollars, it is small potatoes for Apple to buy trendy car manufacturer Tesla. Mr Peter Garnry, head of equity strategy, says the idea is not even that far-fetched: "Apple has the financial strength to fulfill the wildest dreams of Elon Musk. Apple will offer $520 per share. That is $ 100 per share more than what Elon Musk claimed a few months ago would be enough to take his business off the stock market. The entire operation would costs Apple barely 90 billion dollars." Mr John Hardy, Saxo's chief strategy manager, says the US will sink in 2019 and drag the stock market with it. Jerome Powell, Chairman of the US central bank (FED), won’t want to get involved in President Trump's stimulating measures to turn the tide. Powell is fired, and replaced by Neel Kashkari, Chairman of the Minnesota central bank. He pumps 5,000 billion dollars into the economy which sees interests rate drops to 1 percent and inflation rises to 6 percent. The faltering Brexit plan results in new elections for the United Kingdom. They are won by Labour, predicts Kay Van-Petersen, global macro strategist. Jeremy Corbyn, will succeed Prime Minister Theresa May, and sets up a program with which he reintroduces 'socialism of the 20th century'. Companies will be nationalized, taxes rise sharply. The slowdown in growth in the Eurozone combined with a sky-high debt burden, rising interest rates, and mass popular protest are leading to a debate about the future of Europe. Italy is the trigger for a new banking crisis and in order to save the currency union, the European Central Bank is called.